Three Philosophers, from 1508, shows his characteristic use of light to create mood. 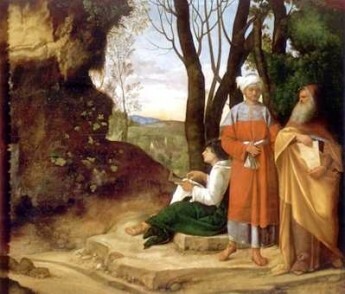 Giorgione initiated the "figure in landscape" painting style that later became popular with other Italian artists like Titian and Peter Paul Rubens. This work is in the Kunsthistorisches Museum in Vienna, Austria.